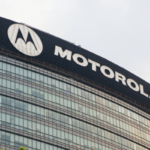 As a leading provider of two-way radios we see communication as key to success in any work environment. By providing colleagues with a system for reliable and fast communication you will instantly see the benefits, such as an increase in work efficiency, a reduction in errors, and the formation of a more cohesive work environment. Adding quality two-way radios to your work site is one way you can improve communication and work productivity, but there are other ways too! Here are 9 great tips for improving communication at any work site. Most people are much better at talking than they are at listening. Although, the best way to improve communication in any situation is to simply take the time to really listen. By cutting people off and finishing their sentences you are not communicating at all. If every time you communicate with your employees you are angry or negative, communication as well as overall company moral is going to go down. First of all, no one is going to feel comfortable approaching you, which may leave you excluded from important issues. Instead of creating a hostile environment you should work to boost positivity and hard work. A great way to do this is do remember that for every negative thing you have to say, you should always be sure to give three positives. Build employees up by letting them know when you appreciate their work. When people feel like their work is recognized and appreciated they are far more likely to continue putting in the extra time it takes to be a great employee. Every situation, either mundane or emergency, needs to have a plan of action in place. Coworkers that have been briefed on what to do in every situation are better prepared to deal with whatever life throws their way. With two-way radios this planning becomes even easier as coworkers can communicate back and forth in order to keep everyone safe and in the know. In our modern day world of fast paced technology it’s easiest to send someone an email and move on with your day. Yet, if your employees rarely make time to talk face-to-face to one another and to supervisors, work moral is proven to go down. Even using a phone or radio to communicate is more personal than responding via text or social media. Take the time to talk with coworkers, and create situations where everyone has a chance to interact like human beings getting to know one another. In situations where details are crucial it’s helpful if employees repeat back information to clarify what they have heard. When using two-way radios this can be especially useful, and with push-to-talk features it’s very easy to do. Repeating information helps make sure the information was correctly conveyed, but it also helps you to remember it. In order for workers to feel comfortable openly communicating with one another a certain level of trust needs to exist. The workplace shouldn’t always be hurry, hurry, serious. There is a time and place for some fun, such as with team building activities that get employees interacting and getting to know one another on a more personal level. These activities not only improve employee productivity, but they also increase the effectiveness of work site communication. 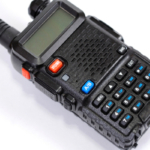 One way communication can quickly turn into a mess is if two-way radios are malfunctioning or inoperable. 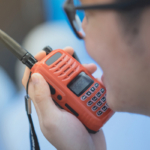 Radios need to offer a reliable connection, long-lasting battery, and remain accessible throughout the day in order for communication to be possible. If workers are stuck dealing with faulty communication devices a world of problems is bound to arise. There are always new ways you can improve communication at a job site. By constantly thinking outside of the box, trying new things, and carefully observing how coworkers currently communicate you can find ways to improve. Pay attention to how people respond to your direction, do they listen sometimes better than others? Does response have anything to do with the way the message was delivered? Most likely the answer is yes. Paying close attention to what works and doesn’t work will help you formulate the best communication tactics. 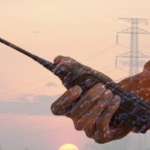 Highland Wireless offers a wide variety of two-way radios, technical services, and networking options. Offering you the most important tools you need to improve work site communication!